Alex Guarnaschelli, Lazarus Lynch, Angie Mar and more all-star chefs share their top turkey, side and dessert tips to make the best Thanksgiving meal ever. 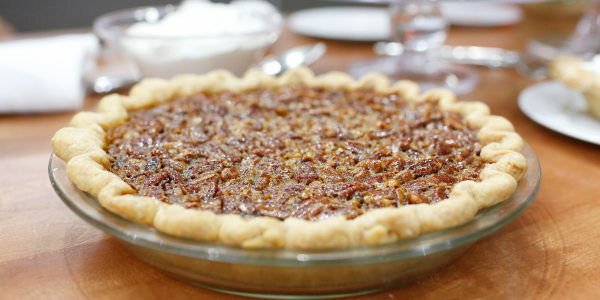 Celebrity chefs Alex Guarnaschelli, Laura Vitale, Ryan Depersio, Angie Mar, JJ Johnson, Chloe Coscarelli, Lazarus Lynch, Jocelyn Delk Adams and Donatella Arpaia team up to share their best recipe upgrades, time-saving tips, food fixes and more for an amazing Thanksgiving meal. Alex Guarnaschelli: Use a thermometer! Those little plastic pop-up things that come stuck in the turkey are cute aren't they? A little insurance policy, or so it would seem. However, they actually don't pop up until way past 165°F, so you will get the pop up along with a dry turkey. Use a thermometer! They might not be as adorable, but they will give you an instant and accurate temperature and help make sure your bird turns out perfectly cooked. Put the thermometer in the thickest part of the thigh meat to test because it's the area that takes the longest to cook. If it's cooked there, your bird is cooked everywhere. If you don't have a thermometer, use the tried-and-true test: Pull the thigh away from the breast meat and check the juices. They should run clear and not be pink at all. Cooking stuffing? Take the temp of the bird, if cooked but the stuffing temperature is too low, take the bird out and cook the stuffing longer by itself as you carve the turkey and make gravy. Laura Vitale: Let the turkey rest properly. Most people only have one oven. On the big day, this can lead to the issue of not being able to cook the sides and turkey at once given the lack of oven space. The best solution is to cook the turkey early and let it sit. The best is a well-rested turkey. Once roasted to perfection, remove it from the oven, wrap it tightly with aluminum foil and cover with a few kitchen towels to trap in the heat. This does two things: allows free space in the oven to cook the rest of the meal but also provides the most delicious, juicy turkey you'll ever have! 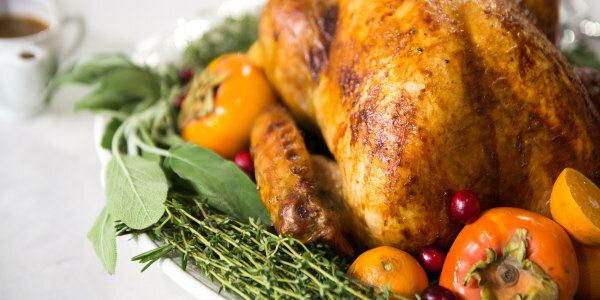 Angie Mar: Stuff the turkey with butter and herbs. Before I cook a turkey, I stuff butter and herbs (such as sage, rosemary, thyme and savory) in between the skin and the meat. Then, I rub the top skin with olive oil before salting. The added flavoring agents ensure the turkey will turn out incredibly flavorful. Ryan Depersio: Amp up the flavor of your gravy. Take your gravy to the next level! It's all about trying different seasonings. Changing up the usual spices, herbs and add-ins can change the whole flavor profile of gravy. Try whisk in white truffle butter or stir in apple cider reduction with a tiny bit of rendered bacon. JJ Johnson: Use cornbread in your stuffing! 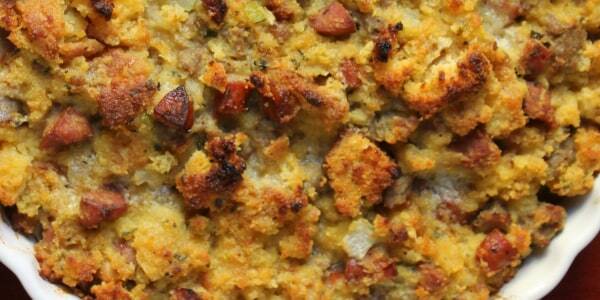 If you make stuffing, you probably use regular white bread, but don't overlook cornbread! The crumbly texture and natural sweetness of the corn brings a much more interesting flavor to stuffing/dressing. You can even use a blend of white and cornbread if you don't want to make a full switch. Chloe Coscarelli: Add pumpkin puree to your mashed potatoes. Instead of the same old white mashed potatoes, mix it up by swirling in a golden ribbon of sweet buttery pumpkin puree. The resulting spuds are sweet and salty to the max! Lazarus Lynch: Make and freeze your desserts ahead of time. Save time on Turkey Day by making and freezing your desserts ahead of time. Almost any kind of cake and/or pie can be made days in advance. Let it cool completely, wrap it tightly in plastic wrap and freeze. Let it defrost at room temperature or pop in a 350°F oven for 20 until to reheat when it's time to serve. Pies like pumpkin/custard don't freeze well, but store perfectly wrapped in the refrigerator, up to five days. Jocelyn Delk-Adams: Make and freeze homemade pie dough in advance. Freeze homemade pie dough directly in pie plates and take them out the day you're ready to bake. Simply add the filling and pop them in the oven. Freezing helps minimize shrinking so the shapes will be perfect. And you can save time making pie dough on Thanksgiving Day! Donatella Arpaia: Use store-bought graham cracker pie crust. No time to bake? Make a sweet pumpkin pie or trifle using store-bought graham cracker pie crust, whipped cream and pumpkin purée.